Sean Rafferty presents, with live music from Camerata Tchaikovsky (formerly known as of the Russian Virtuosi of Europe). Part of Breaking Free: A Century of Russian Culture. Sean Rafferty presents, with guests including organist Anne Page, and members of Camerata Tchaikovsky (formerly known as the Russian Virtuosi of Europe), who play live for us. 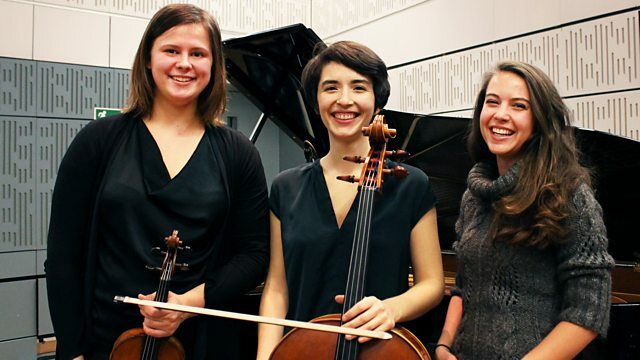 We talk to organist Anne Page about performing Bach, and Trio Sora play live in the studio. Author: Alexander Blok. Singer: Tatiana Ursu. Choir: Moscow New Choir. Conductor: Elena Rastvorova.